The headwaters of the Wekiva River Basin are located north of Orlando and east of the city of Apopka. 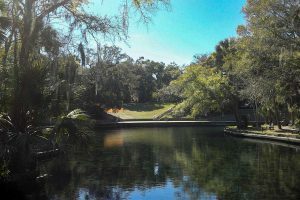 The Wekiva River flows north for approximately 15 miles to the St. Johns River, defining the county lines of Orange, Seminole and Lake counties. 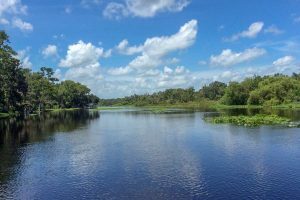 Systems within the Wekiva River Basin are regionally important water bodies and have been designated Outstanding Florida Waters. The Wekiva River is a Florida Scenic and Wild River, a State Canoe Trail and a National Wild and Scenic River. 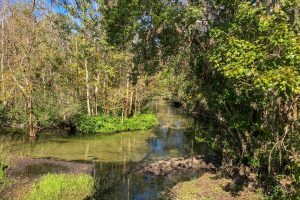 The St. Johns River Water Management District has identified four priority water bodies within the Wekiva River Basin — the Wekiva River at State Road (SR) 46, the Little Wekiva River, Rock Springs and Wekiwa Springs. This includes an MFLs reevaluation for the Wekiva River at SR 46, Wekiwa Springs and Rock Springs and an MFLs determination for the Little Wekiva River. The current plan is to submit Notices of Proposed Rule (NPRs) for all four MFLs by the end of 2019. The district’s MFLs approach involves two separate, but interrelated, components: 1) MFLs Determination; and 2) MFLs Assessment. The first involves determining a minimum hydrologic regime necessary to protect relevant water resource values. The second involves comparing this MFLs condition to a current-pumping condition to determine the current status of the MFLs. The current-pumping condition could be above or below the MFLs condition. The overall process involves environmental assessments, hydrologic modeling, independent scientific peer review, and rulemaking. The district typically engages in voluntary peer review of all MFLs on its Priority List. Because the Wekiva basin MFLs water bodies are within the Central Florida Water Initiative (CFWI) area, the district will follow the CFWI MFLs peer review process. This includes stakeholder involvement in the selection of the peer review panel as well as stakeholder involvement in public workshops for the review of the models, hydrological analyses and environmental analyses that are used to determine and evaluate proposed MFLs within the CFWI. The district has divided the Wekiva basin MFLs peer review into two phases. First, the surface water models, including their calibration and validation, will be reviewed. The models will support development and assessment of the multiple Wekiva basin MFLs and will be reviewed by independent technical experts in the field of hydrologic modeling. The district selected two firms, Intera and DSLLC, with specific expertise in HSPF/HEC-RAS models for this review. A stakeholder workshop was held Aug. 16, 2018, to discuss the selection process, criteria and solicit feedback from all stakeholders. Reviewing the models before the MFLs determination report allows better alignment with required expertise as well as allows the district to revise the model if needed, prior to completing the draft MFLs report. The second phase of the peer review will begin in spring 2019. The district will complete the selection of the peer review panel for the overall MFL component, consisting of at least 3 reviewers with expertise representing all the major subject areas relevant to the MFLs determination report. One of the three reviewers has already been selected. The panel will include Intera (Wekiva Basin model peer reviewer) who will have the primary responsibility of reviewing hydrologic analyses and any changes to the Wekiva Basin surface water models. Intera was selected because they have experience with the role of models in developing and accessing MFLs at the SJRWMD. This approach focuses on the individual peer review needs of each product, maintains the intent of the CFWI peer review process, utilizes more than three peer reviewers, and will ensure a comprehensive and open peer review of the Wekiva Basin HSPF/HEC-RAS models and MFLs determination report(s). Two surface water models were developed to support the reevaluation and determination of MFLs for water bodies within the Wekiva basin. District staff updated an Hydrological Simulation Program Fortran (HSPF) model previously developed to simulate the hydrology of the Wekiva River Basin. A HEC-RAS, one-dimensional river hydraulics model, was also updated and extended to include the Little Wekiva River and Rock Springs Run, as well as additional portions of the Wekiva River, to simulate the water elevations along the Wekiva River system. These two models will be used to support the development and assessment of MFLs. The intent of the district is to ensure the Wekiva Basin HSPF/HEC-RAS models are developed and implemented based on sound science and modeling principles. Peer review of model applications will focus on the appropriateness of the model, input data, calibration and verification procedures, and on the proposed uses of model results. The peer review process has been divided into tasks and subtasks, each with deliverables and/or meetings, allowing for stakeholder participation throughout the process. Meeting date – Sept. 26, 2018 – Wekiva Springs State Park, Youth Camp Recreation Hall, beginning at 9 a.m.
Meeting date – Oct. 23, 2018 – SJRWMD – Maitland Office, Econ Rm., 601 South Lake Destiny Road, Suite 200, Maitland, FL 32751 beginning at 9 a.m.
Seong, C.H. and A.E. Wester. 2019. Response to Peer Review Comments in “Review of HSPF and HEC-RAS Models Development and Documentation for Wekiva Basin, Florida” by Dynamic Solutions, LLC. SJRWMD Final Technical Memorandum. March 2019. Seong, C.H. and A.E. Wester. 2019. 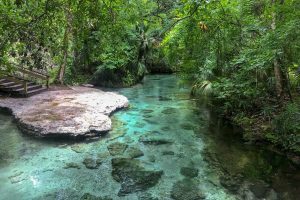 Response to Peer Review Comments in “Review of Wekiva River Hydrology and Hydraulic Modeling” by Intera. SJRWMD Final Technical Memorandum. March 2019. Seong, C.H. and A.E. Wester. 2019. Wekiva River hydrology and hydraulic modeling for minimum flow and level evaluations. SJRWMD Final Report.